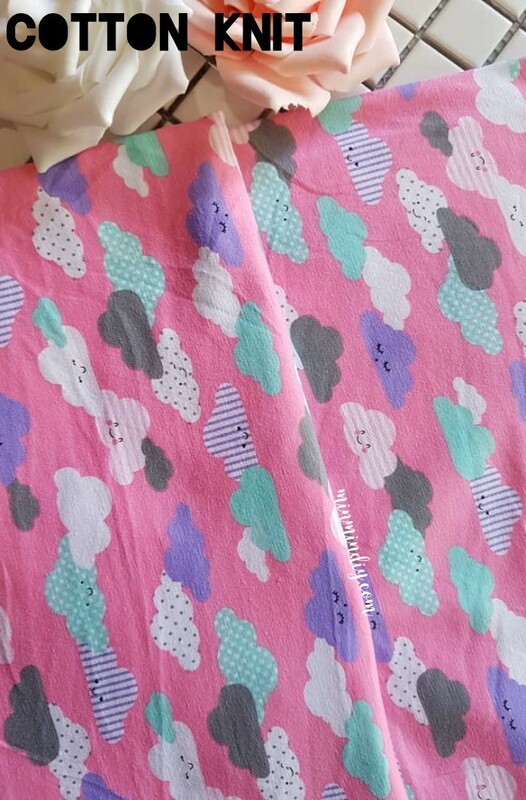 Cotton Lycra with cute cloud prints. Beautiful for shirts. Daily or casual. Or even a family outfit. Suitable for headbands, raglan shirt, simple Tee 👕, pyjamas and daily pants.